Building on recent launches of its new off-road products, Danish drivetrain specialist CeramicSpeed is set to unveil its latest Oversized Pulley Wheel System. The new OSPW X for Shimano derailleurs is being unveiled at this week’s Sea Otter Classic in Monterey, California (Booth M37). The new OSPW X for Shimano RX800/805 is the result of product development that focuses on improving the riding experience for off-road cyclists. 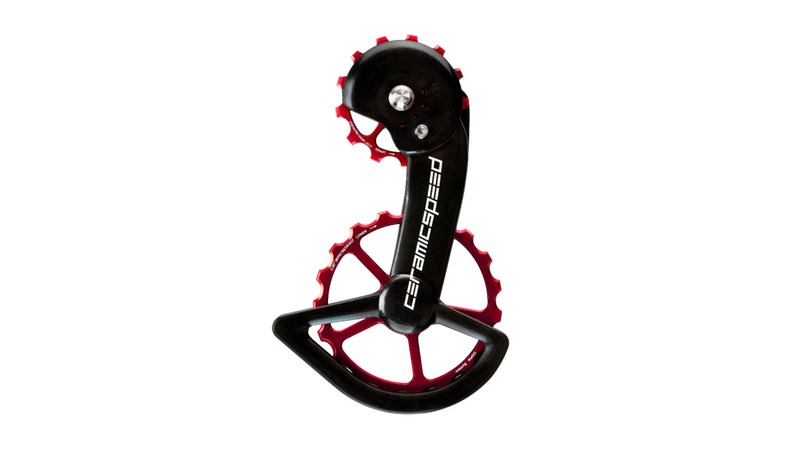 At the core of CeramicSpeed’s off-road focus lies the OSPW system – ‘proven at events including Paris Roubaix, Strade Bianche and the full range of Cyclocross World Cup races’. The new OSPW X is compatible with Shimano RD-RX800 mechanical and Shimano RD-RX805 Di2 derailleurs. It fits cassettes up to 36-tooth (11-36t range), making it well-placed for both road and cross/gravel. The latest release also features the company’s signature custom-designed carbon-reinforced polyamide pulley cage assembly that is lightweight and durable. CeramicSpeed cites previous testing, which reveals that non-clutch derailleurs create less drag than a clutch derailleurs. Larger pulley wheels also provide a smoother articulation of the chain, plus the ability to adjust spring tension. All this, combined with a low tooth count on the stock pulleys, results in OSPW X delivering a claimed 30-40% less friction. Designed, developed and handbuilt in Denmark, with CeramicSpeed bearings inside, the OSPW X Series comes with a warranty of up to 6 years and gives a claimed three to five times longer lifetime over a conventional pulley wheel system.